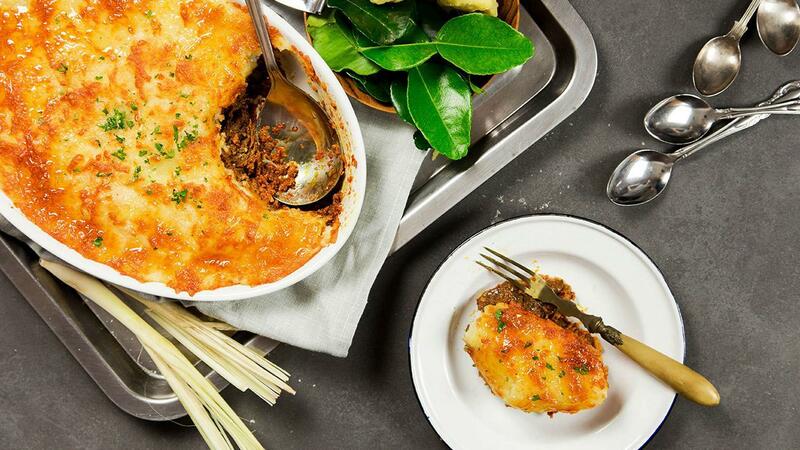 Give your cottage pie a little local twist, which will definitely be a crowd pleaser. Boil Beef (tenderlion cubes) in 3000ml of water till tender. Set Beef Stock aside for seasoning later. Prepare Shallot, Garlic, Young Ginger, Lemongrass, Galangal, Filtered Water into blended paste. Saute blended paste with Corn Oil, Sup Bunjut, Chili Paste, Kaffir Lime Leaf. Add Beef, Coconut Milk, Kerisik, 200g of Beef Stock, Carte D'Or Honey Falvoured Topping, Knorr Chicken Stock to blended paste mixture. Bring Water to boil. Add salt, turn off heat and add milk. Transfer into a bowl of Knorr Mashed Potato. Stir and combine till smooth. Using Casserole, place Beef Rendang at bottom till 3/4 height. Layer with Mashed Potato on top. Sprinkle with Mozarella and Parmesan and bake at 175 Degree Celsius for 10 minutes. Garnish with Parsley & Pepper.